It’s hard to heal without acknowledging exactly what’s been broken. Will Jane be able to face her demons before it’s too late? Jane’s flaws are serious and deep, but there was something about her that made me smile from the very first scene. There is something to be said for a protagonist who wrestles with her demons without having any indication beforehand of whether or not she actually stands a chance of beating it. It’s not necessary for me to like a protagonist as long as I believe in their mission and feel comfortable rooting for them. What surprised me the most about Jane was how quietly she grew on me as I plunged ahead into scene after scene with the hope that she’d be successful in her mission. There were some issues with the pacing. The plot jumps from past to present so often that at times I had trouble remembering what Jane had been doing with her life before the last flashback. The flashbacks themselves gave me a clearer understanding of why Jane made certain choices, but they would have been even more powerful had there not been quite so many of them. I really enjoyed the fables Jane comes up with when she goes into an altered state. They were original and beautiful. Just like traditional fairy tales, some of them had meanings that weren’t always immediately apparent. 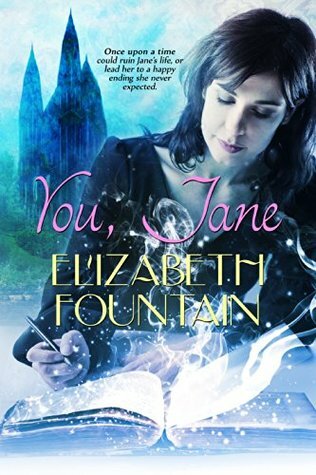 Attempting to figure them out was a nice interlude from the sad themes in this book, especially once the dark side of Jane’s personality becomes more apparent. You Jane was one of the most thought-provoking stories I’ve read in a long time. This is a good choice for anyone in the mood for something that asks as many questions as it answers.